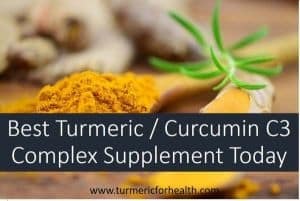 Previously in our post 8 Popular Curcumin Supplements In Market Today, we have listed various supplements that are popularly used. 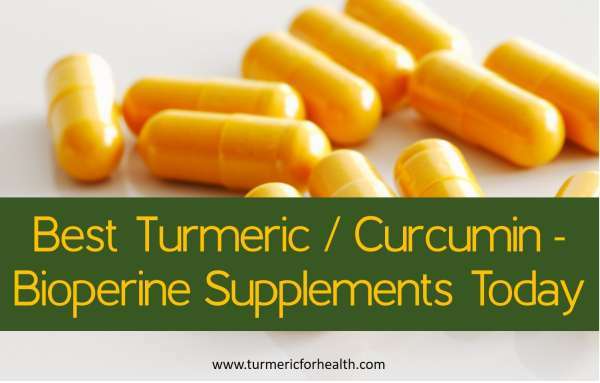 Today we are talking about the most commonly available turmeric supplement: Curcumin and Piperine/Bioperine Supplements. 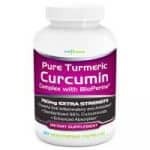 Curcumin-Bioperine supplements are the most basic and easily available turmeric supplements in the market. 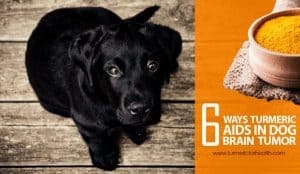 The reason for calling them basic is that they are free from any technology based modifications to increase bioavailability; it is a just a combination of commonly used food ingredients. Curcumin is one of the active constituents of turmeric. 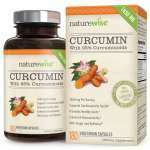 Curcumin-Bioperine supplements utilize standardized 95% curcumin. Curcumin in turmeric is present as a part of a group of compounds called curcuminoids. These compounds have a similar structure, and their names are as follows: curcumin, demethoxycurcumin, and bisdemethoxycurcumin. 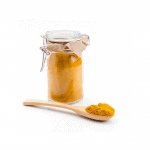 Curcumin is extracted from turmeric to achieve a standardized extract. Standardized 95% curcumin contains 70-80% of curcumin, and the rest accounts for bisdemethoxycurcumin and demethoxycurcumin. Why not 100%? For that would just add to extraction expenses and not have any effect on the therapeutic potential of the supplement. Piperine is the active component of black pepper that imparts a pungent taste to it. It is volatile. Piperine interacts with drug metabolizing enzymes and temporarily inhibits their activity. Bioperine is the patented version of piperine developed by Sabsina Corp. 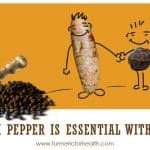 The company highlights that are simply increasing black pepper intake will not increase absorption of nutrients. Also if piperine remains ‘captive’ in raw black pepper, then it will take the time to enhance bioavailability. Bioperine, on the other hand, mitigates these issues. Bioperine has received Recognized As Safe (GRAS) status. Sabrina Corp has listed various agents with which it is safe to take Bioperine here. If you want to know more about Bioperine, please use the Table of Contents below to jump to the relevant section. If you are already aware, just check out the best Bioperine brands and dosage in next section. How bioavailable are curcumin Bioperine supplements? What does research say about health benefits of curcumin Bioperine supplements? 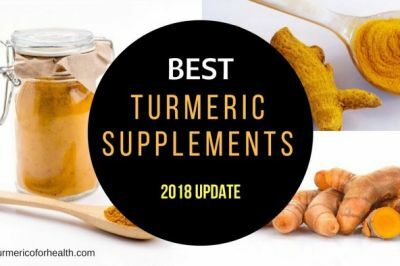 While identifying popular curcumin-Bioperine supplements with standardized extracts, we came across very few supplements that actually contain this combination. Some contain turmeric root in addition to it, hence the two categories below. 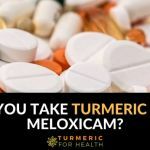 We are aware that many consumers feel that addition of organic turmeric root to standardized extracts is more like a diluted version of curcumin. 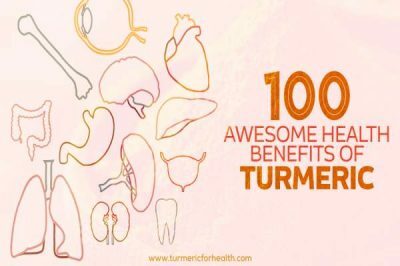 However, for a scientific standpoint, organic turmeric has much more to offer than just curcumin, and its combination with curcumin is good for health benefits. That is why we have identified both curcumin-turmeric-Bioperine supplements and curcumin-Bioperine supplements. For those who intend to opt for only concentrated curcumin or have a condition that requires high concentration of curcumin please check section 2. We will update this list as and when we find more curcumin-bioperine supplements containing standardized extracts. 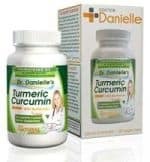 These supplements contain whole root turmeric powder in addition to standardized 95% curcumin and Bioperine. These are good for daily health benefits, as an antioxidant, pain relief, mild arthritis pain and other moderate conditions. These contain 1350 mg turmeric, 150 mg standardized 95% curcumin and 10 mg Bioperine in every 3 capsules. It is allergen free and packed in veg capsules. These contain 1500mg turmeric and standardized 95% curcumin, 140mg ginger and 10mg Bioperine in every 2 capsules. They are free from allergens and additives and packed in veg capsules. These contain 500mg organic turmeric (Not standardized 95% extract curcumin) and Bioperine in 1 veg capsule. Free from binders and fillers. 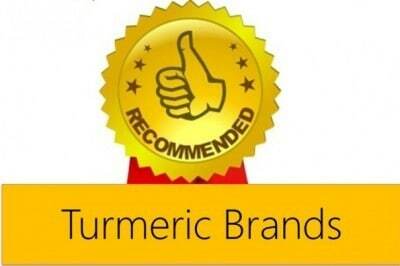 The turmeric supplement contains organic turmeric and black pepper and NOT standardized extracts. 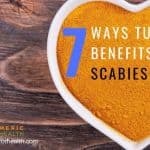 However, they are reported to benefit in health conditions. As we come across supplements with standardized extracts, we will update the list. 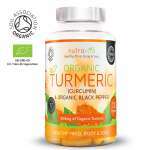 These contain 600mg organic turmeric powder and 5mg organic black pepper extract packed in veg capsules. These contain standardized 95% curcumin and Bioperine only. These supplements are for serious health conditions like cancer, neurodegenerative diseases etc. which require a high concentration of curcumin. These contain 750mg standardized 95% curcumin with 5 mg Bioperine in 1 vegetarian capsule. They are free from additives, silicon, and allergens. There is no ideal dosage of curcumin-Bioperine supplements prescribed. It is highly dependent on the condition and severity of the disease. A commonly asked question is what should be the ratio of turmeric to black pepper or curcumin to piperine? Most companies manufacture supplements with curcumin and the Bioperine ratio of 100:1. So if the supplement contains 1000mg standardized 95% curcumin, then 10mg Bioperine/piperine should be present. It is difficult to extrapolate this ratio to turmeric, and black pepper since the percentage of curcumin in turmeric and piperine in black pepper varies in species of the spices. 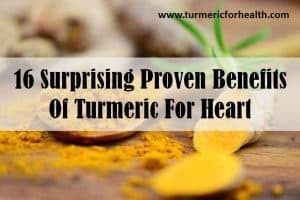 Most studies utilize a dose of 1000mg curcumin and 10mg Bioperine for humans. Black pepper has been used in Ayurveda as a bioenhancer- it increases the absorption of various compounds. Piperine in black pepper interacts with drug metabolizing enzymes and temporarily inhibits their activity. This allows other components taken with piperine to pass the primary drug metabolism phase and reach the blood in higher concentrations. Further details about piperine’s mechanism of action have been highlighted by Sabsina Corp. here. The very popular study about curcumin’s bioavailability demonstrated that piperine increases curcumin’s bioavailability by 2000%. The ratio of curcumin to piperine used was 100:1. A recent study in Biopharmaceutics and Drug Disposition, 2017 investigated the effect of different dosage ratio of curcumin piperine (1:1 to 100:1) on the bioavailability of curcumin. They also checked whether pre-administration of piperine effects curcumin’s bioavailability. Concentration max of curcumin was significantly increased when the curcumin-piperine ratio was 20:1. And piperine pre administration (piperine was given ½ an hour to 8 hours before giving curcumin) was found to increase curcumin’s bioavailability irrespective of other parameters significantly. This was due to piperine’s inhibitory action on the drug metabolizing enzymes. However, despite such finding, other formulations of curcumin are proven to have better bioavailability. BCM-95 is found to be 6.3 times more bioavailable than the curcumin-lecithin-piperine combination. Curcumin nanoparticles are nine times more bioavailable than the curcumin-piperine combination. Piperine increases curcumin’s bioavailability by 2000%. Other curcumin formulations are found to be more bioavailable than the curcumin-Bioperine combination. But the benefit of the curcumin-Bioperine combination is that they are free from unnatural adjuvants and technological modifications for bioavailability enhancement. Piperine and curcumin are active ingredients of black pepper and turmeric which are natural ingredients commonly used in the diet. 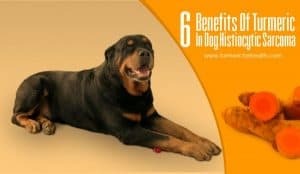 Many scientists have proven the benefits of curcumin and piperine combination in various health conditions and here is a couple of that scientific evidence. Science proves that piperine enhances curcumin’s neuroprotective effect (protecting the brain from disorders). Research suggests that curcumin and piperine are natural monoamine oxidase inhibitors which indicate that can help in the treatment of depression and other psychiatric conditions. 111 individuals were treated with the curcuminoids-piperine combination in addition to standard antidepressant therapy or standard antidepressant therapy alone. Those treated with curcuminoid and piperine should experience a rapid reduction in depressive symptoms and had a greater reduction in depression and anxiety scores. A meta-analysis study on curcumin’s effect on major depressive disorder stated that curcumin-piperine combination is as effective as other bioavailability enhanced formulations of curcumin in reducing depressive symptoms. Curcumin also protects from toxicity caused by antipsychotic medications such as haloperidol. Curcumin and piperine combination is found to better than curcumin alone in Parkinson’s disease. The combination is found to reduce behavioral changes, neuroinflammation and neurochemical changes in Parkinson’s due to their antioxidant property. Similarly, the combination of piperine with curcumin is found to enhance curcumin’s therapeutic effect in Huntington’s. An experimental study proves that piperine enhances curcumin’s bioavailability and strengthens curcumin’s therapeutic effects in epilepsy. A study in animal model proves that curcumin-piperine combination protects from age-related brain deficits and improves cognition and memory. Curcumin and piperine boost antioxidant defences of the brain and regulate neurotransmitters to improve memory. Curcumin and Bioperine combination are beneficial in major depressive disorder and for prevention of neurodegenerative diseases. A recent study published in Journal of Sports Science and Medicine, 2017 revealed that curcumin-piperine combination, when given 48 hours before and after exercise, helped to reduce certain aspects of exercise-induced muscle damage. The dosage used was 2g curcumin and 20g piperine. This therapeutic effect was primarily attributed to the antioxidant and anti-inflammatory property of curcumin. Curcumin-Bioperine supplements are effective for a post workout phase and can reduce inflammation in Delayed onset muscle soreness. Panahi et.al demonstrated that curcuminoids supplementation improves antioxidant defences in type 2 diabetes and these findings were published in Inflammaopharmacology,2017. 118 individuals with type 2 diabetes were enrolled in the study. They were given either 1000mg curcuminoids and 10mg piperine daily or a placebo for eight weeks. It was observed that curcuminoids supplementation improved total antioxidant capacity and increased the levels of antioxidant enzymes significantly. No such changes were observed in the placebo group. The experimental study reveals that curcumin in combination with piperine and quercetin has a better therapeutic effect than curcumin alone in diabetes. 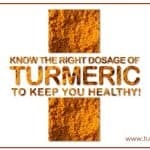 It also reduces the dose of curcumin required to have a therapeutic effect. Piperine and Quercetin are found to potentiate curcumin’s therapeutic action in diabetes. Curcumin and piperine improve antioxidant defenses in diabetes. Li et.al have proven that curcumin and piperine combination can prevent gallstone formation. Earlier the same group of researchers have also proved that piperine alone can prevent cholesterol gallstone formation. Curcumin, Piperine, and quercetin together are found to be beneficial for metabolic syndrome treatment. They help lower blood sugar, lipid levels and aid in weight management as well. A clinical trial published in Clinical Nutrition,2015 highlighted the benefits of curcumin and piperine in metabolic syndrome. 117 individuals with metabolic syndrome were enrolled in the study. They received either 1000mg curcuminoid and 10mg piperine or placebo. Curcuminoid and piperine combination elevated the level of antioxidant enzymes and reduced inflammation in metabolic syndrome. Curcumin and piperine combination protect vascular function in hypertension. Oral curcumin with piperine is found to benefit in pancreatitis by elevating levels of antioxidant enzymes. Curcumin and piperine combination reduces inflammation and increases antioxidant defenses in metabolic syndrome. They are also effective in protecting the liver and vascular health. This study was published in Drug Research, 2015. 40 individuals with mild to moderate knee osteoarthritis were treated with curcumin-piperine combination or placebo for six weeks. They received 1500mg curcuminoids daily, and 15 mg piperine was provided to enhance curcumin’s bioavailability. Post treatment, the curcumin group showed a significant reduction in some proinflammatory cytokines (agents in the body that contribute to inflammation in arthritis) while some remained unchanged. Interestingly even the placebo group showed a significant reduction in some inflammatory parameters while some remained unchanged. Further analysis revealed that there was no difference in treatment and placebo group. The researchers concluded that curcumin-piperine combination does reduce symptoms of osteoarthritis, but this effect can’t be attributed to their anti-inflammatory action. Piperine enhances the anti-arthritic action of curcumin, and together they reduce inflammation and symptoms of osteoarthritis. Replacement resorption is a condition in which damaged teeth when replaced are resorbed at the root surface and replaced by bone tissue. A study published in Journal of Endodontics, 2015 suggests that curcumin-piperine combination can serve as an effective anti-resorptive agent. The study demonstrated that curcumin suppressed osteoclastogenesis – formation of bone cells that participate in resorption activity. Additionally, researchers stated that curcumin’s anti-inflammatory, antioxidant and anti-microbial properties could help in this condition. Curcumin and piperine’s anti-inflammatory and antimicrobial action benefits dental and oral health. Patial et.al have proven that piperine enhances curcumin’s anti-cancer effect in hepatocellular carcinoma (a type of liver cancer). 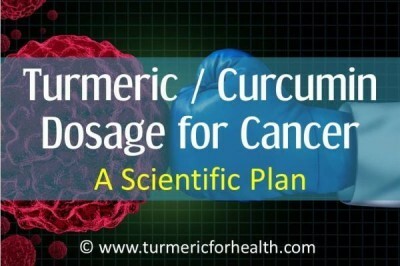 Curcumin and piperine combination have cancer preventive property. Their antioxidant property helps to detoxify the carcinogens and aid in the prevention of oral cancer. Similarly, they may aid in chemoprevention of breast cancer. 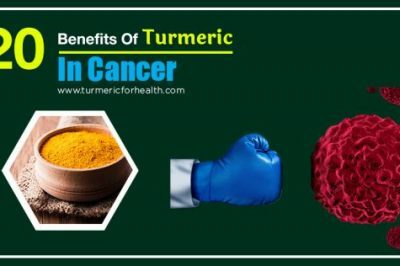 The experimental study reveals that curcumin and piperine benefit in medulloblastoma and also increase the sensitivity of medulloblastoma cancer cells to cancer therapy. Curcumin and piperine protect from genotoxins- toxins that can damage DNA and RNA. Piperine enhances curcumin’s anti-cancer activity and protects from genotoxicity. A study published in Indian Journal of Pharmacology, 2017 points out that curcumin and piperine combination can protect the heart from toxicity caused by cyclophosphamide. Cyclophosphamide is a chemotherapeutic drug. In this animal study, curcumin and piperine combination was found to improve antioxidant defenses and heart function. 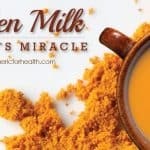 The combination was found to be better than curcumin alone. Curcumin and piperine protect from drug-induced toxicity by raising antioxidant defenses. A study was conducted to assess the effect of curcumin on peripheral neuropathy. 141 patients with neuropathic pain were enrolled in the study. They were diagnosed with lumbar sciatica, lumbar disk herniation, and carpal tunnel syndrome or lumbar canal stenosis. They were treated with curcumin as an adjunct to conventional treatment with dexibuprofen. Curcumin was provided as Lipicur; it contains lipoic acid, curcumin phytosome (Meriva) and piperine. Treatment with Lipicur was found to reduce neuropathic pain by more than 66% in the patients and also a reduction in the use of conventional treatment was observed. Researchers concluded that Lipicur could be an effective add-on therapy for neuropathic pain. Curcumin (either standardized 95% extract or other bioavailable formulation) in combination with Bioperine relieve neuropathic pain especially in conditions like sciatica, carpal tunnel syndrome, etc. Curcumin and piperine are active components of turmeric and black pepper respectively, and each of these spices has natural anti-microbial properties. Curcumin-piperine combination with antimalarial drug chloroquine is found to have strong anti-malarial action and reduces the growth of parasite by 37% in 7 days of treatment. A study published in Helicobacter, 2016 reveals that both curcumin and piperine have an anti-inflammatory and anti-microbial action against Helicobacter pylori (the most common bacterial cause behind acid reflux) and can protect from gastritis. Curcumin and piperine are natural, broad spectrum antimicrobial agents and benefit in conditions like malaria, H.pylori infection, Candida, etc. Sulphur mustard is a warfare agent, and exposure to this chemical can have serious complications affecting the skin and causing toxicity in lungs. 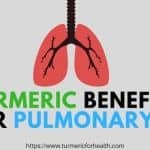 Researchers conducted a study to assess whether curcumin and piperine treatment can help reduce oxidative stress in those facing sulphur mustard related complications associated with the lung. For treatment, they received 1500mg curcuminoids with 15 mg piperine daily or placebo. The treatment lasted for a month. Curcumin piperine treatment brought a significant improvement in health. The combination boosted antioxidant defenses and reduced frequency as well as the severity of respiratory symptoms. Curcumin and piperine proved to be safe adjuvants to standard therapy for sulphur mustard complication. Research proves that curcumin-piperine combination protects from complications of sulphur mustard toxicity (sulphur mustard is a warfare and chemical agent). Like any health/dietary supplements, Curcumin-Bioperine supplements are not regulated by FDA. Starting with high doses of curcumin or taking curcumin for the first time may cause gastric discomfort such as bloating, diarrhea, etc. This can be minimised by starting with small doses and then increasing gradually. Additionally, the supplements may contain organic turmeric (Curcuma longa) root. 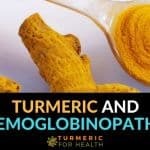 That is good to have whole turmeric root as it has more to offer than curcumin. 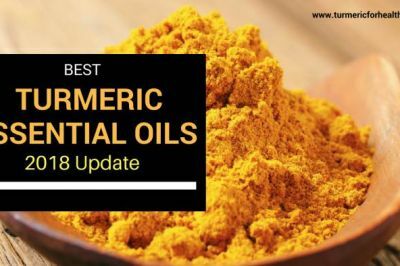 But in serious health conditions like cancer or conditions which require high concentrations of curcumin one may have to opt for supplements with a higher quantity of standardized 95% curcumin. 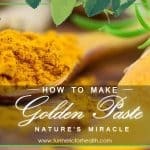 One of the things that differentiate the curcumin-Bioperine supplements from the rest is that both its constituents are from food ingredients- turmeric and black pepper. Other formulations can have adjuvants to enhance bioavailability (which is necessary and convenient for some health conditions) which are not commonly used in the diet. 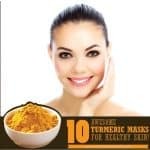 This makes curcumin-Bioperine supplements safe and inexpensive for use for daily health benefits in case natural turmeric consumption is not possible for you at all. If you have tried Curcumin-Bioperine, do share experience with us and leave your comments below. In some other platforms it is said that to avoid Bioperine added supplements as much as possible as this may change the metabolism of the liver thus retaining in the system not only the other medicines we consume but also toxins which are to be removed by the liver. But here it is recommended to take. May I request clarification on this matter based on science and also pl clarify whether these supplements can be taken for long run. Thank you.